"Mirrorthrone is a one-man Melodic Black Metal band with Symphonic and Avant-Garde influences born in June 2000, Switzerland, when Vladimir Cochet, the sole member of the project, decided to create a more eclectic and symphonic music than what he was used to do in his other musical activities. Two demo CDs were recorded respectively in February 2001 and December 2002. The latter drew the attention of Red Stream Inc. who released in May 2003 the first official Mirrorthrone album entitled “Of Wind and Weeping”, a collection of early recording and demo tracks. This debut CD got an overall positive welcome from the specialized press and other music enthusiasts worldwide. 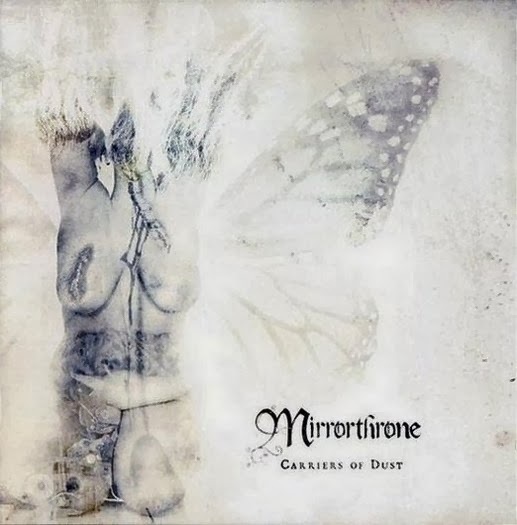 In 2006, Mirrorthrone released “Carriers of Dust”. Keeping the radical Romantic and Baroque base lead by a blasting extreme metal pace that had built the identity of the previous release, this new opus integrated more diverse influences which give an almost progressive taste to the music. Benefiting from a massively improved production, this especially on the drum level, “Carriers of Dust” was a real step forward in the development of Mirrorthrone. After remaining silent for two long years, Mirrorthrone is now about to unveil its new album “Gangrene”, still on Red Stream. Musically, this latest recording is an instable stream where extremities tend to gather constantly; hence the unusual cohabitation of powerful and epic tones alternating with suicidal and desperate colors. Well guys, now here's a masterpiece. It's very hard to believe that "Carriers of Dust" was recorded by an one-man project, the music is very rich and well-produced (on the level of the world's best metal bands). It's my favourite out of all 3 Mirrorthrone's albums, and the only thing I can complain about it is the predominate use of French language in the lyrics. Yes, that's only my personal opinion, but I don't like most Francophone metal bands, so "A Scream to Express the Hate of a Race" (with lyrics entirely in English) is my favourite track off this album ;) Some people also find the cloing track to be too lengthy, and the music in general to be too "mechanic" and "inorganic" (as all the instuments on there, other than guitars, were programmed/synthesized), but I don't have a problem with any of that.